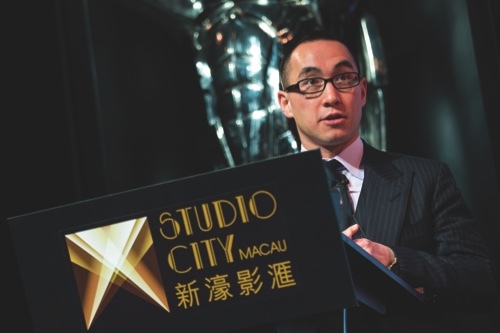 Melco Crown Entertainment is set to open its USD3.2-billion Studio City resort in “mid-year” 2015, adding 1,600 hotel rooms and an intended 400 gambling tables to the Cotai Strip, the company’s co-chairman and CEO Lawrence Ho announced yesterday. Inspired by Hollywood, the cinematic-themed resort will comprise a 30,000-square-foot Family Entertainment Center in collaboration with Time Warner Inc. subsidiaries Warner Bros. and DC Comics. Highlighted in the unveiling ceremony, the entertainment center is said to feature popular DC Comics characters, such as Superman, Wonder Woman and The Flash. Visitors will be taken on a virtual reality Batman ride in the resort, as well as a 130-meter-tall Ferris wheel. The resort will also feature a 5,000-seat multi-purpose venue for performances and top sporting events, a TV broadcast studio, a magician stage, as well as a 300,000-square-foot mall and a nightclub under the Pacha branding made famous in Spain. The operator explained that the Studio City would take advantage of its location beside the Lotus Bridge Cotai Frontier Post. “We are positioning it to be more mass focus, because we expect people to cross Lotus Bridge, and literally walk thirty seconds and you are at the Studio City,” said Ho at the press conference. “Given the product, we’re really trying to make it more mass [focus]; but given what we build there, it’s still – to be honest – more premium than a lot of the resorts in Cotai right now. So there’s going to be a strong premium component to it,” he added. The CEO further stressed that “it’s time to rebalance” the gaming industry from its reliance on junket revenue to embracing the mass market, and Melco is “very happy” about the trend. “Ten years ago, when we did the IPO for Melco Crown on Nasdaq, I was telling people that mass was going to take over. Now, I’m early by seven years with my prediction that is coming true, and ultimately with the rise of the middle class in China and their consumption, that’s really the future of Macau and all gaming markets,” he suggested. Despite the continuous plunge in Macau’s gaming revenue over the past seven months, Ho thinks that there are still development opportunities in the territory. “Don’t forget that after we’re done with the phase one of Studio City, there’s still phase two. We’ve only built the land on two thirds of the size,” he said, adding that the future construction on the rest of the land will depend on whether it can get concurrence from the minority shareholders. According to previous reports, Studio City generated controversy about its eligibility to operate a casino. Former Secretary for Transport and Works Lau Si Io said that there was no casino in the blueprints that Studio City presented to his department. Meanwhile, the former Secretary for Economy and Finance, Francis Tam, said Studio City was eligible for gaming operations. Melco Crown said on January 2 that it would delist from the Hong Kong stock exchange because of low trading volume and significant additional costs, while keeping its Nasdaq listing. Lawrence Ho explained that this move isn’t related to the Macau gambling slowdown, nor to China’s anti-graft campaign. “Our primary listing has always been on Nasdaq since the very beginning. The sole purpose of the delisting is that we have 99 percent of our trading volume in the U.S., so having an additional listing is really just a waste of cost and also a waste of time (…). So, in no way is the delisting related to the slumping in gaming revenue of Macau, nor has it got absolutely anything to do with the anti-corruption issue in China,” stated Ho.